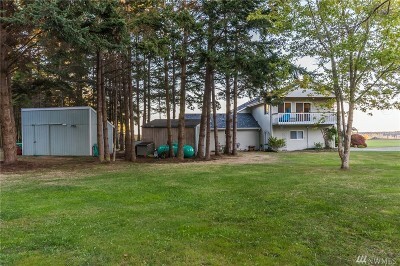 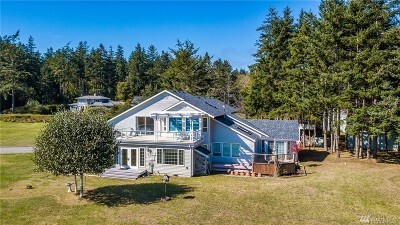 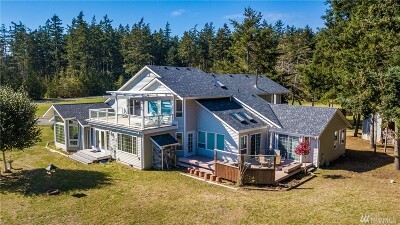 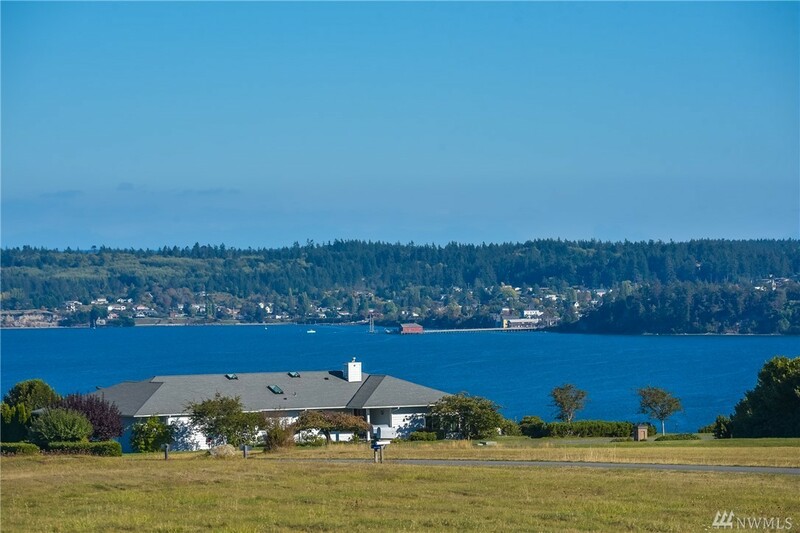 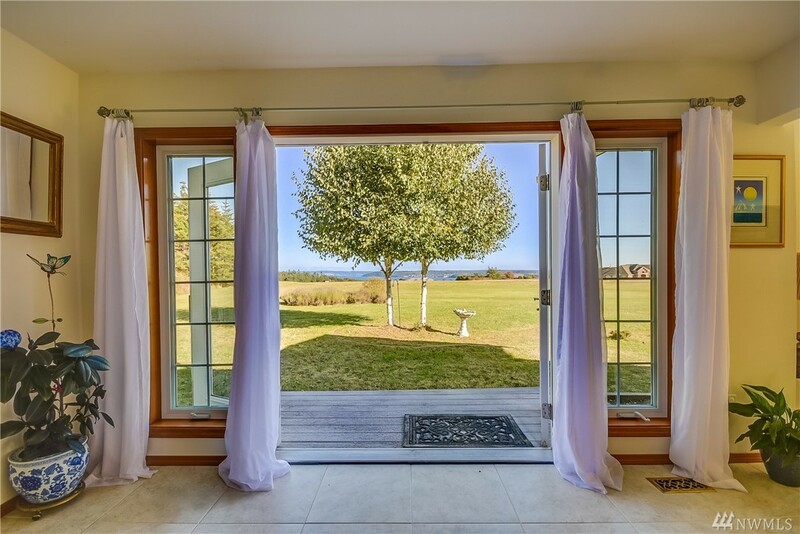 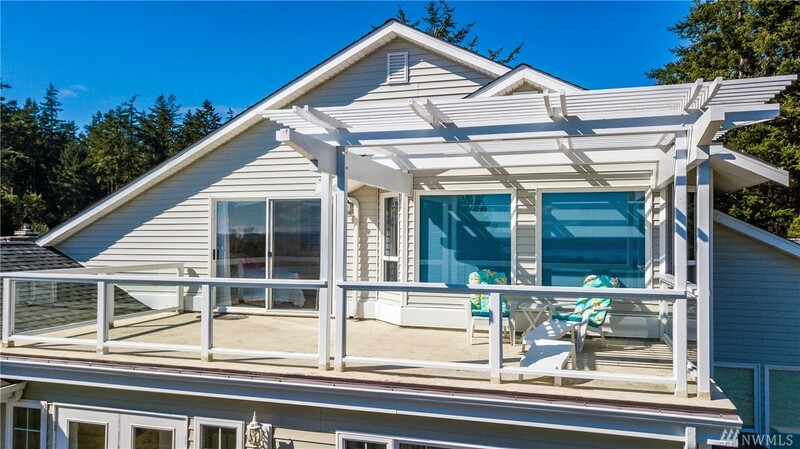 Private estate w/ breathtaking views of Penn Cove, Cascade Mountains from every room. 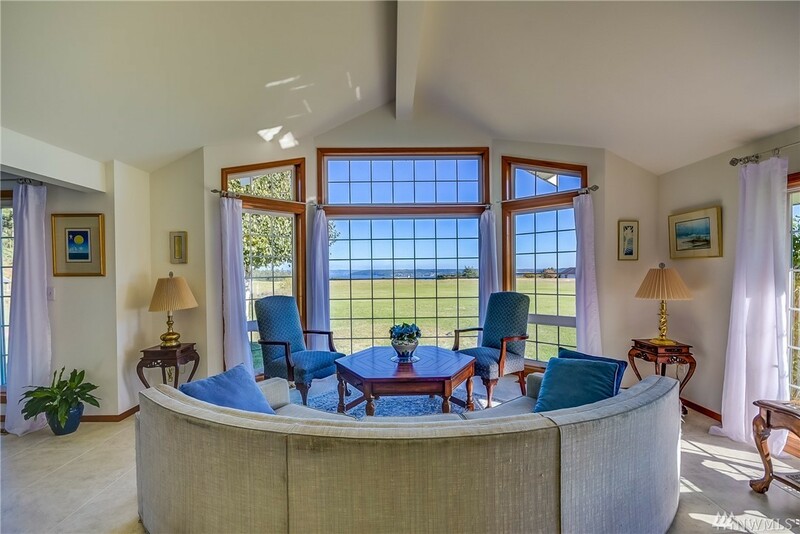 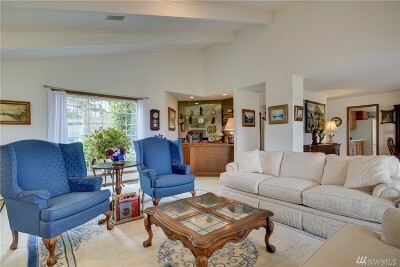 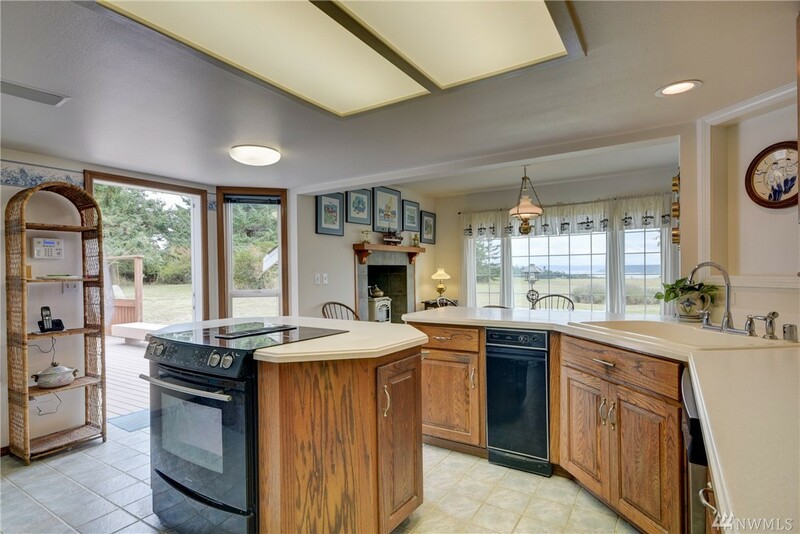 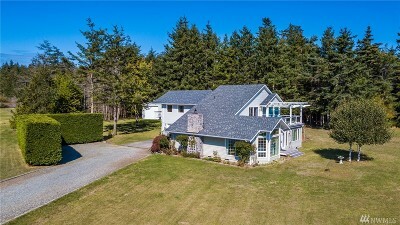 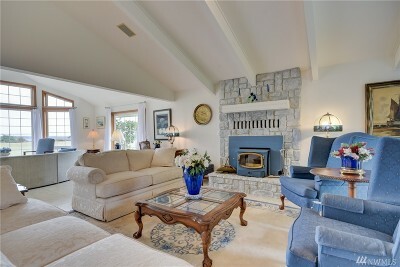 Gracious +/-3788 home on level 5 acres in coveted Sky Meadows w/ sunny open space & evergreens. 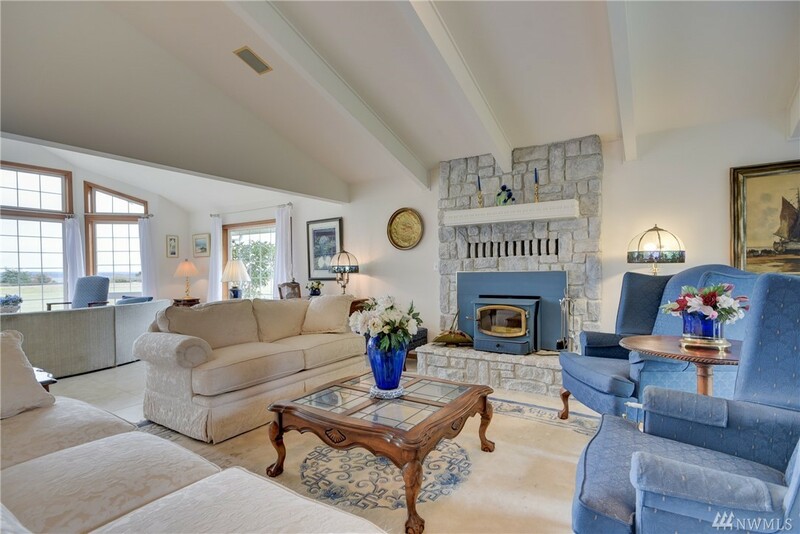 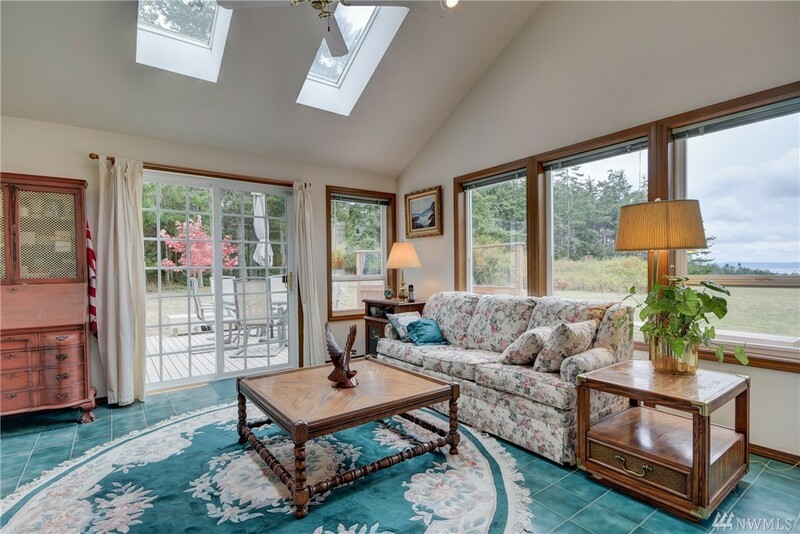 Vaulted ceiling enhances elegant great-room including stove & wet-bar. 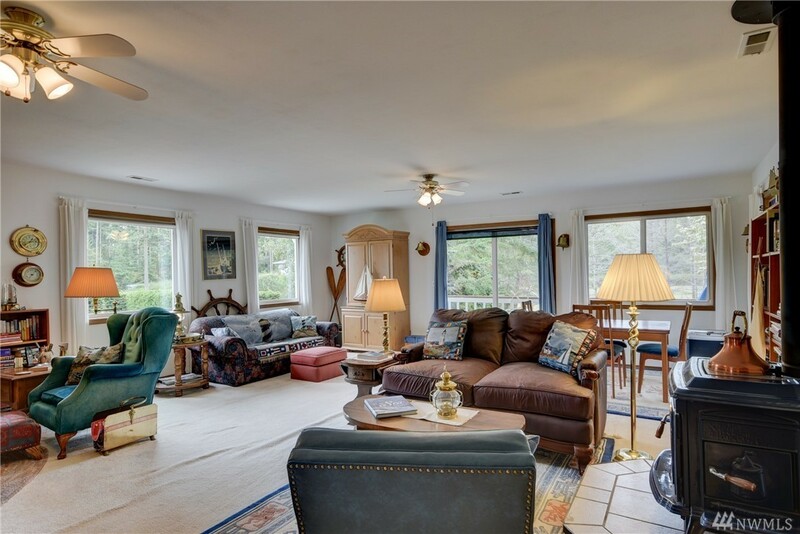 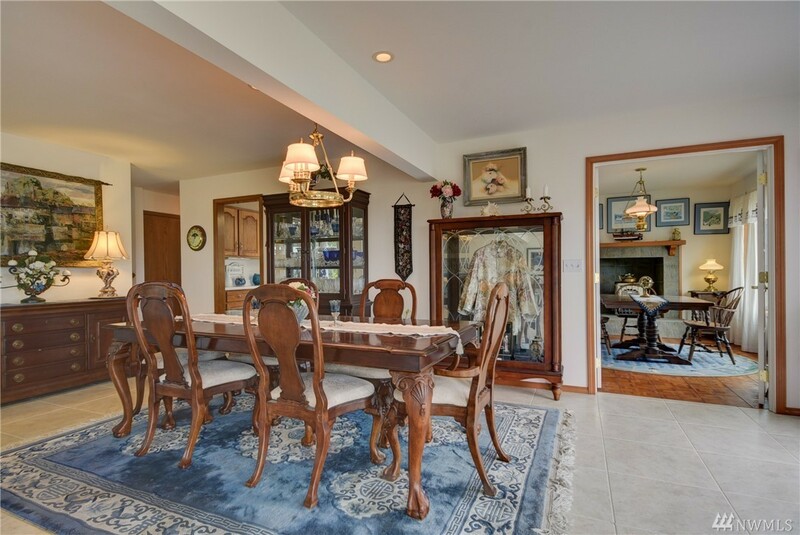 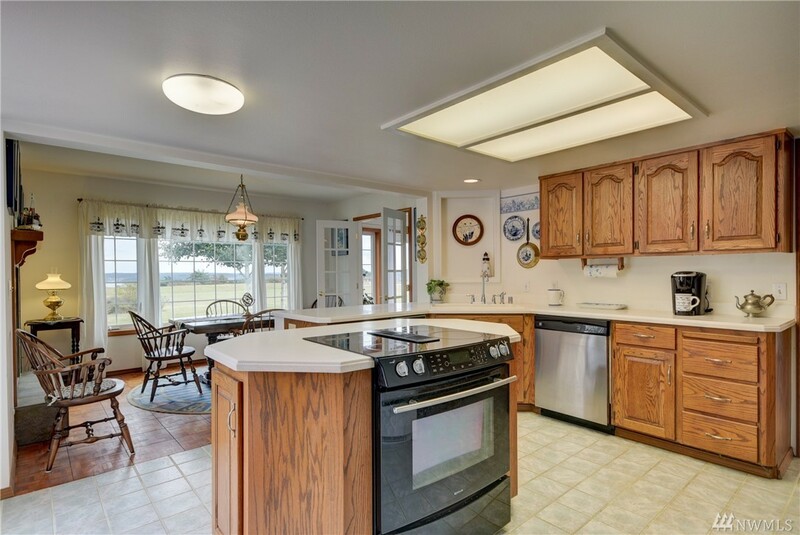 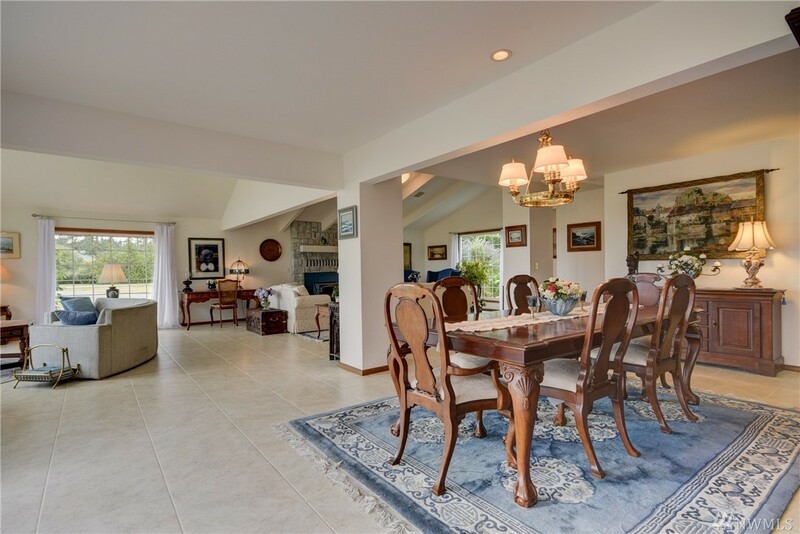 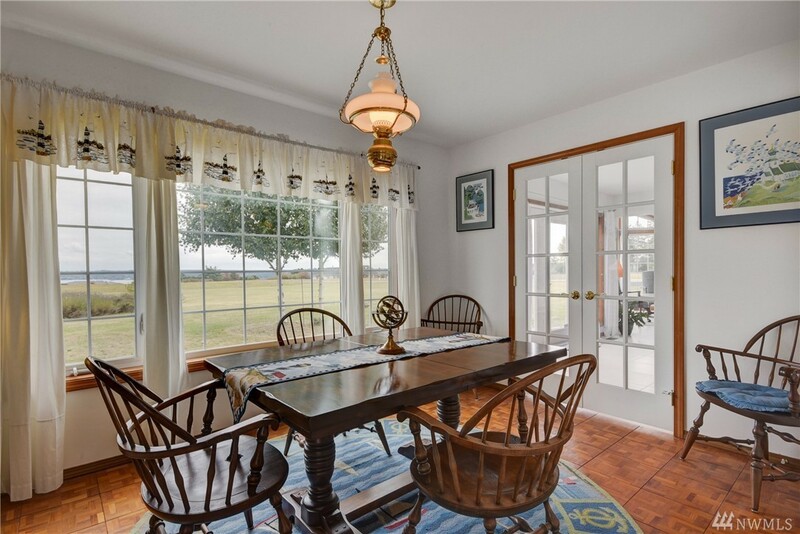 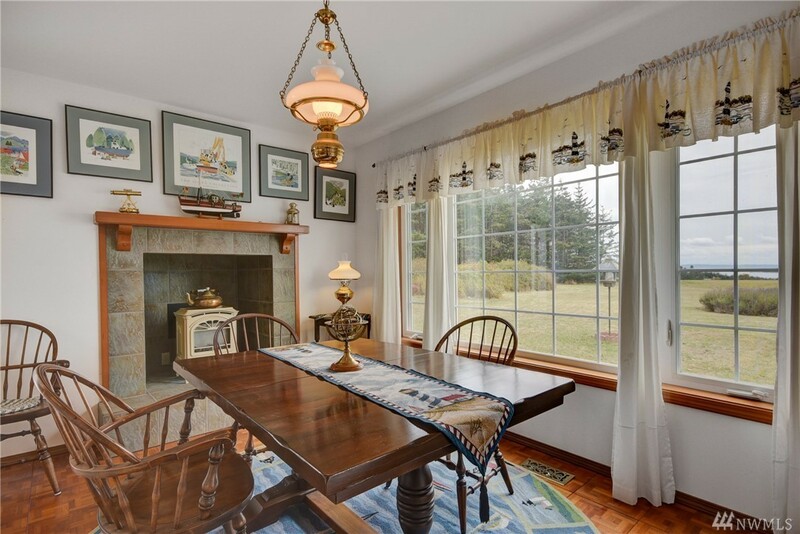 Cozy breakfast area & stove off open kitchen leading to sunroom & deck. 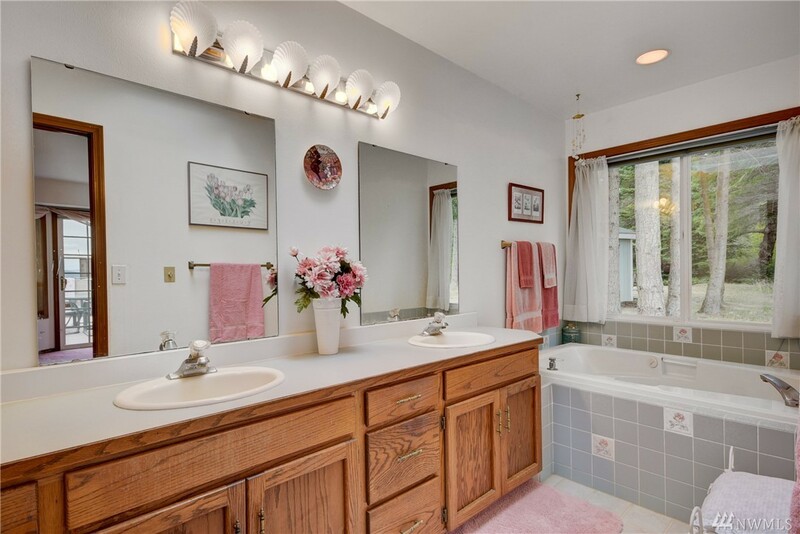 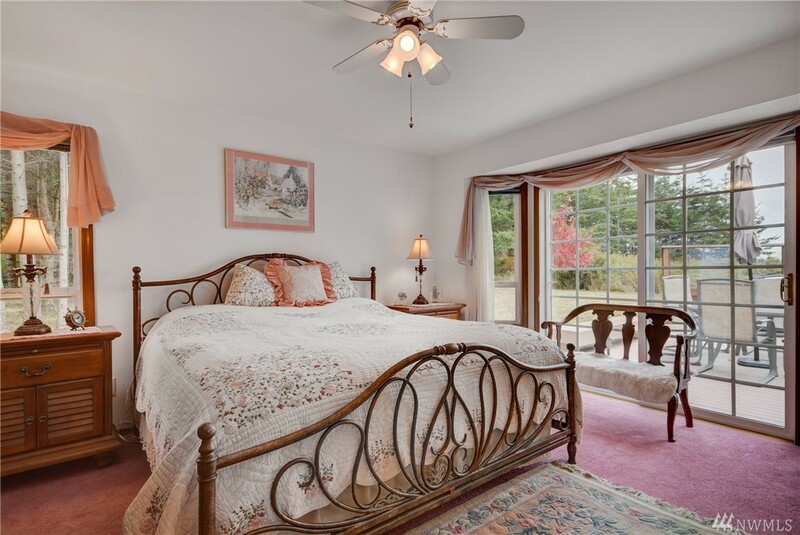 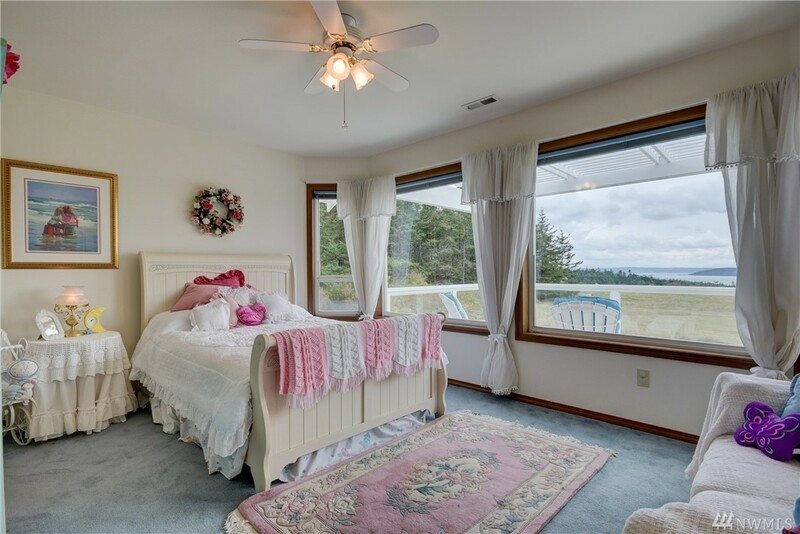 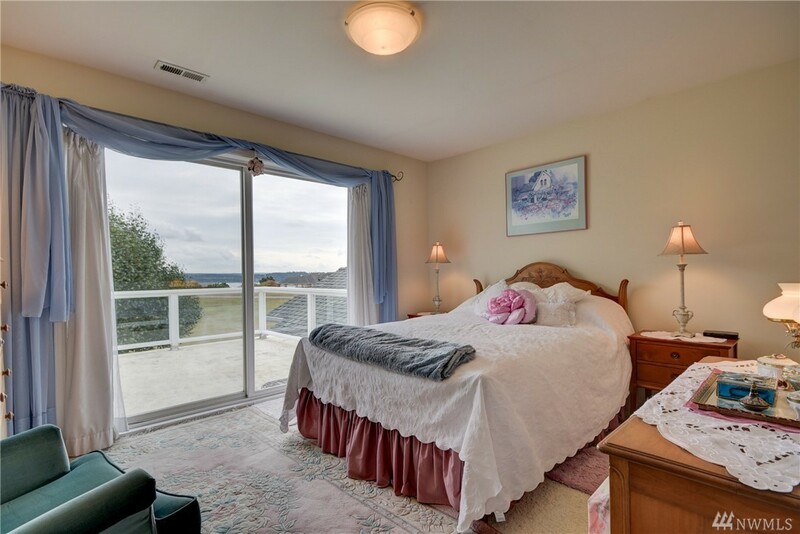 Main level Master bedroom w/ 5 piece ensuite, 2 walk-in closets & private deck. 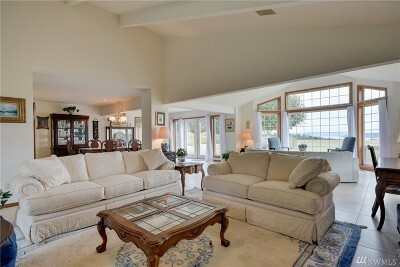 Upper level 2 bdrms, spacious family room & decks. 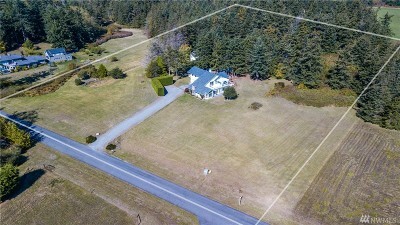 Huge pole-barn & separate workshop. 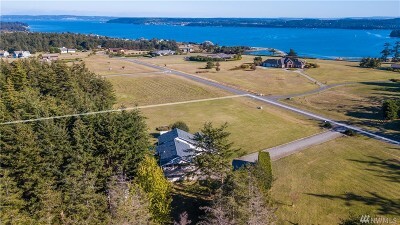 A DREAM!